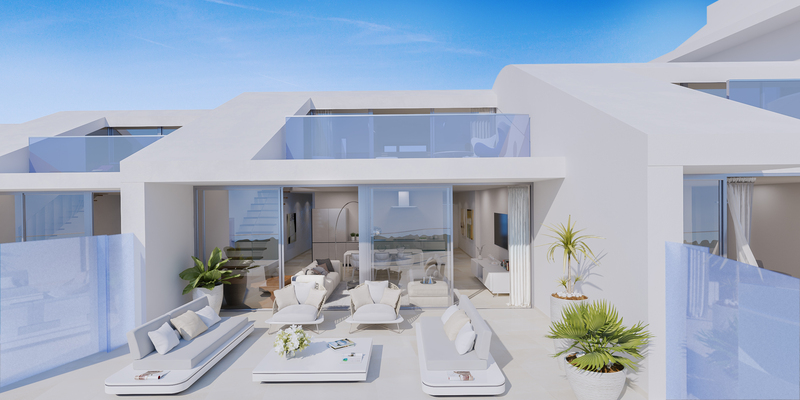 A new development of Apartments and Penthouses on the border of Benalmadena and Fuengirola. Penthouses and Apartments of 2 and 3 bedrooms, with large living spaces of 100 m2 and more than 40 m2 of terraces from just € 359.000. All apartments include a fully furnished kitchen, bathroom fittings, fitted wardrobes in bedrooms, two parking places and one storage room; and of course spectaculars view to the Mediterranean Sea . This development is going to be built with top material brands such as Porcelanosa, Siemens or Jacon Delafon which are examples of this luxury Project. The communal areas consist of a spacious tropical garden and a Wellness Center for the whole family, Including a large pool of modern design with solarium, indoor heated swimming pool, modern gym, Sauna and outdoor Jacuzzi. Everything has been created for the comfort of all our residents. 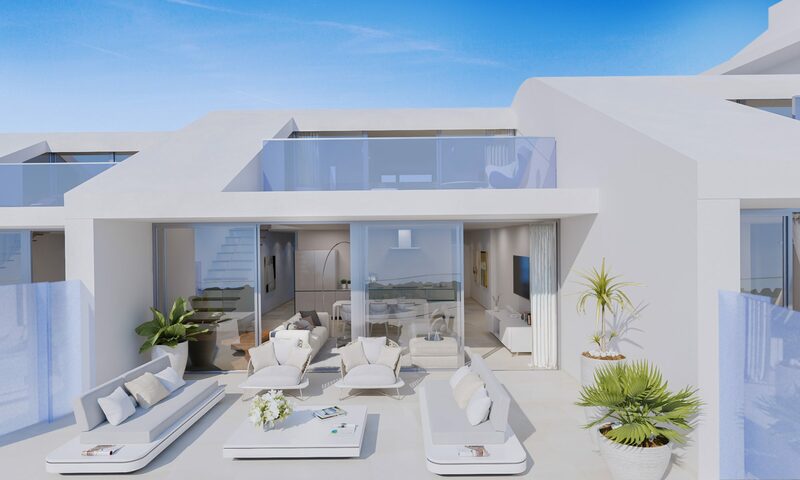 Completion Date of Construction: September 2019 Located 200 meters from the Buddhist temple in Benalmádena which allows easy access to the A7 motorway and to the beach. Only 15 min. to Malaga Airport and 5 min. to the Beach, this marvellous location will allow you to get quickly and easily to the main places of the Costa del Sol.